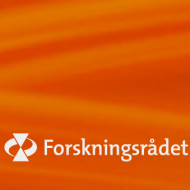 On Thursday May 16th the Norwegian Research Council announced that OCCAS has entered the final application round for becoming a Center of Excellence. Of the 139 original applicants, 29 center proposals have entered the final round of the competition for 5+5 years extensive funding. OCCAS is applying with the project “Nordic Architectural Culture, 1850–2050” led by professor Mari Hvattum. Originally posted May 19, 2012. Latest revision Aug 31, 2017.